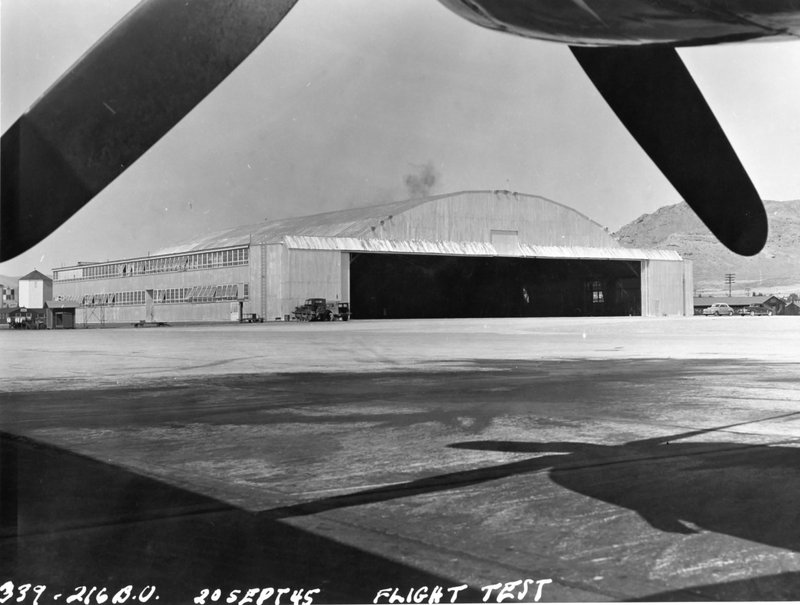 Wendover Airfield in Utah was selected as the training and test center for the atomic bomb delivery group as part of Project Alberta. Nicknamed "Kingman," the site was the initial training ground for the 509th Composite Group and the 216th Army Air Force's Base Unit Special Airfield. Wendover Field was initially established in 1940 after Congress appropriated funds for the acquisition of land to meet the Army's need for additional bombing and gunnery ranges. Its isolated location and virtually uninhabited land made Wendover an appealing choice. In addition, the area generally had excellent flying weather and the nearest major city (Salt Lake City) was only 125 miles away. Wendover was also easily accessible by rail, because the area was serviced by the Western Pacific Railroad, which had three rail lines running west from Salt Lake City to major cities on the West Coast. The town of Wendover had around 100 citizens when it was selected by the Army as the site for a new bombing range. 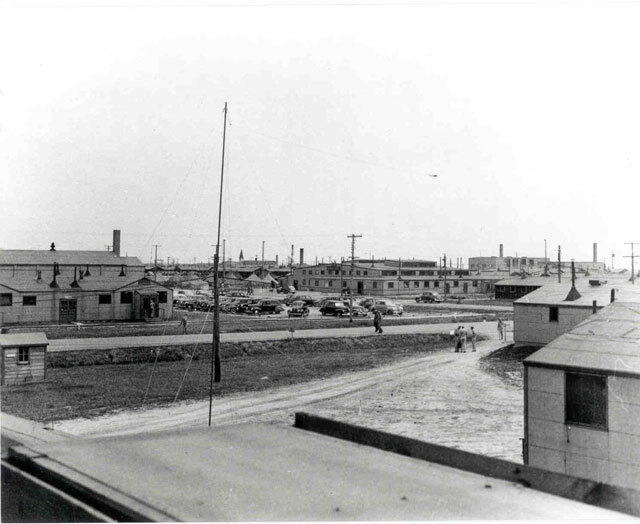 The Army Air Corps began building structures on September 20, 1940, though military personnel would not arrive until August of the following year. 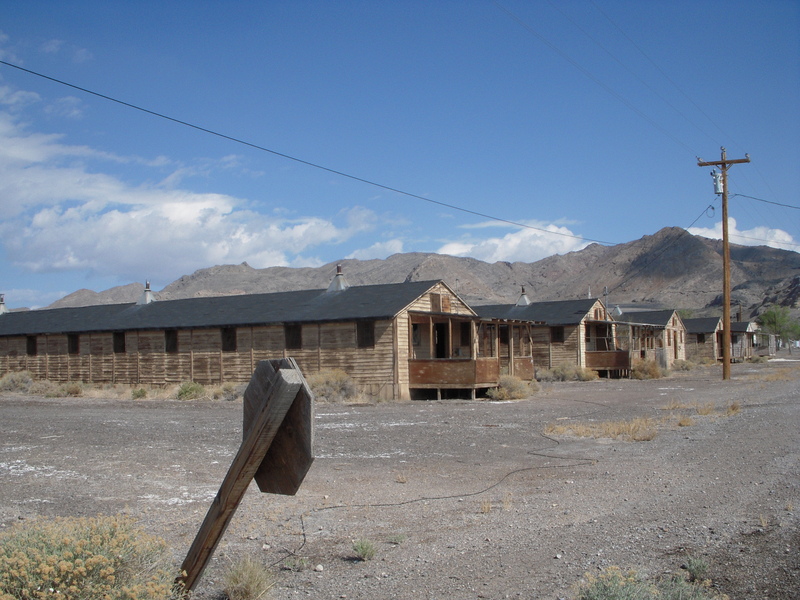 Facilities at Wendover were sparse, with only a few barracks, officer quarters, several warehouses, and a single mess hall. There was also a theater and a medical facility located on the airfield. On July 29, 1941, the installation at Wendover became a subpost of Fort Douglas, Salt Lake City, and additional land acquisitions approved by Congress brought the total area of the base to 1,822,000 acres. The total site ranged from 18 to 36 miles wide and 86 miles long and was soon hailed as the largest bombing and gunnery range in the world. Nonetheless, life at Wendover was primitive: the drinking water was bad, infrastructure was limited, rats invaded barracks, and sand managed to find its way into everything. The first Army unit to be assigned to Wendover moved to the desert post on August 12, 1941 with a detachment of one officer and ten enlisted men. Later that month, another 37 men arrived and started setting up targets on the salt desert for training purposes. 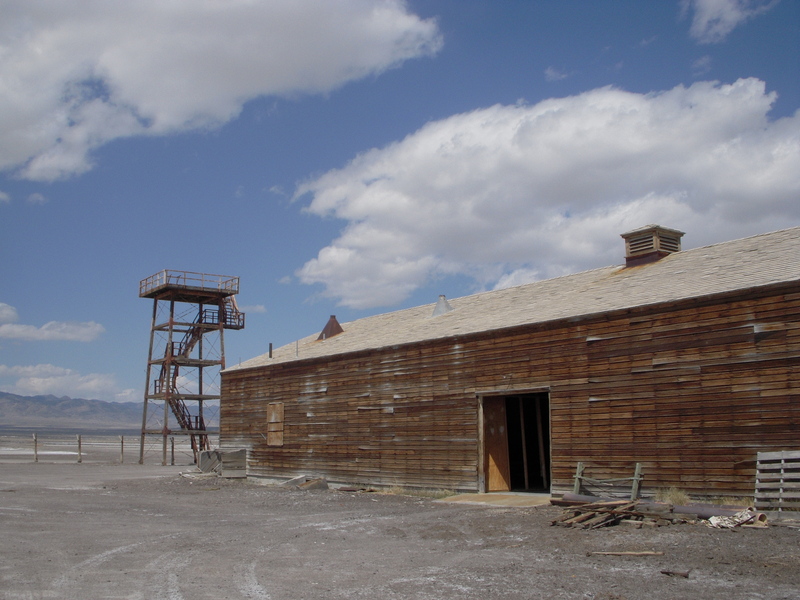 The base would remain idle until March 28, 1942, when the Army activated Wendover as a B-17 and B-24 heavy bombardment training base. The first bomber unit, the 306th Bombardment Group, arrived in April 1942 and included four squadrons of B-17 bombers. At that time, few buildings had been completed and training facilities were scarce. 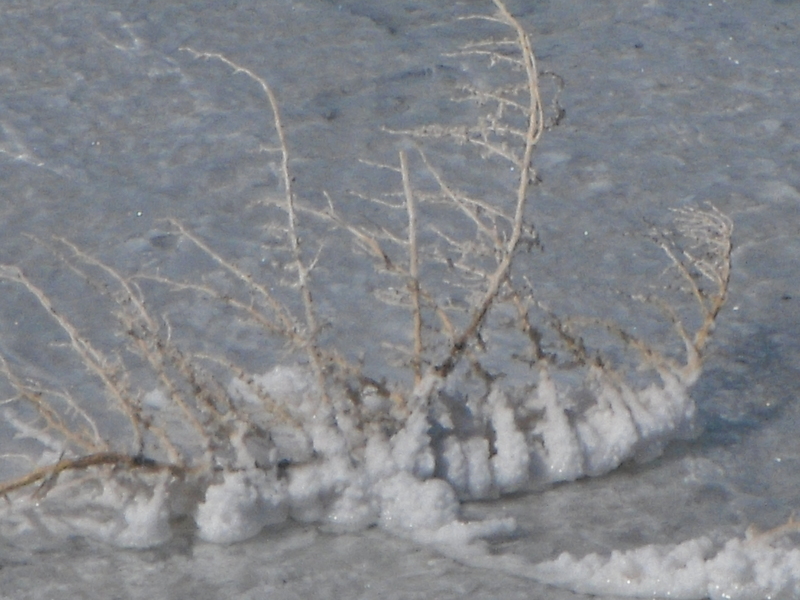 However, the Army detachment at the base had managed to construct targets on the Bonneville Salt Flats and had also installed an electrical system for night illumination. Many of the bombing raids against Germany and Japan would be conducted by the Allies at night. As the war intensified in 1942, additional bomber groups were sent to Wendover to train for missions in Europe and in the Pacific. Training operations included high-altitude formation flying, long-range navigation, target identification, and simulated combat missions. By the end of 1943, 21 bomber groups and over 1,000 aircrews had completed training at Wendover airfield. These bomber groups would go on to conduct combat operations around the world, including the strategic bombing of Germany and providing air support for the D-Day invasion. In September 1944, Lt. Col. Paul Tibbets selected Wendover Air Force Base as the training site for the 509th Composite Group, the handpicked B-29 unit that would drop the atomic bombs. 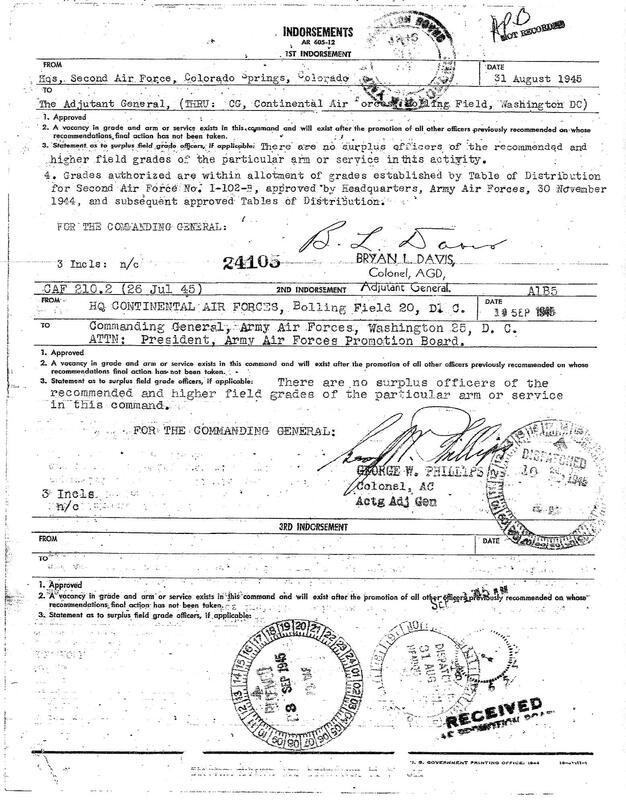 The 509th Composite Group was activated on December 17, 1944 and included over 1700 officers and men, including the First Technical Detachment, a team of civilian and military scientists. 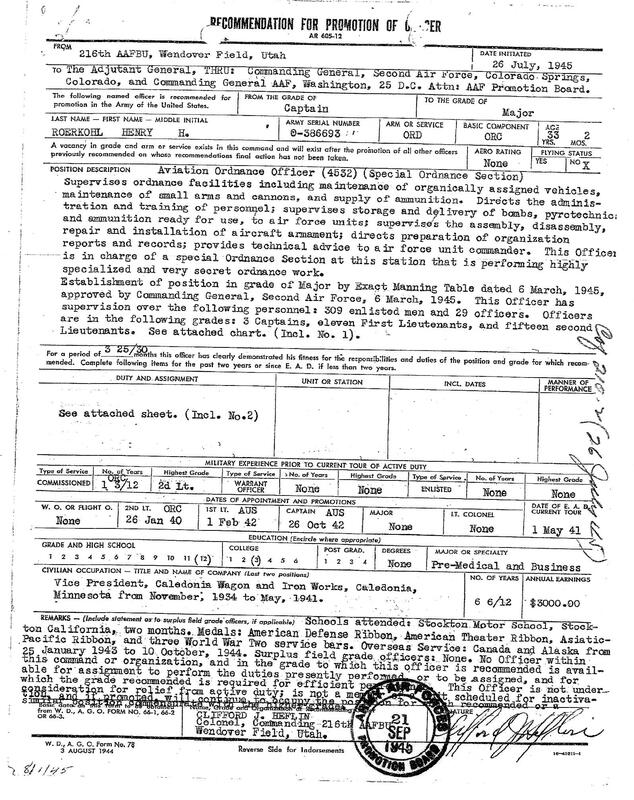 In January 1945, Colonel Clifford Heflin assummed command of the 216th Base Unit as the new base commander. In addition to overseeing all activities at Wendover, Heflin also designated two groups within the 216th to assist with the Manhattan Project. 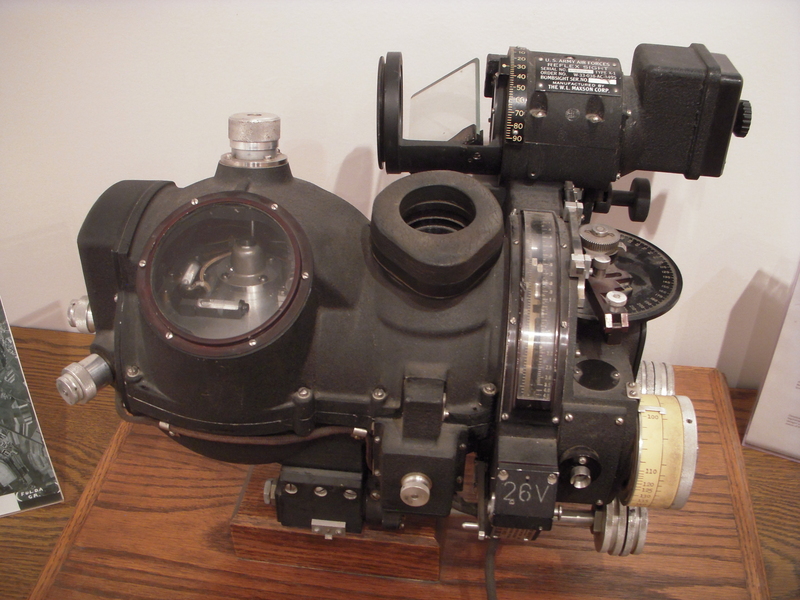 Named Project W-47, the Flight Test Section and the Special Ordnance Detachment helped weaponize the atomic bomb by collaborating with Los Alamos scientists to test out prototype bombs in the shape of Little Boy and Fat Man to furnish information on ballistics, electrical fusing and detonators, release mechanisms, and flying characteristics of the aircraft. Wendover proved to be an excellent place to practice these "pumpkin bomb" drops as they were soon referred to. The unique shape of the atomic bombs required aircrews to learn new bomb drop techniques. Hundreds of practice bombs were dropped from B-29s as engineers from Los Alamos sought to determine the correct weight distribution and shape of the aerodynamically unique bombs. 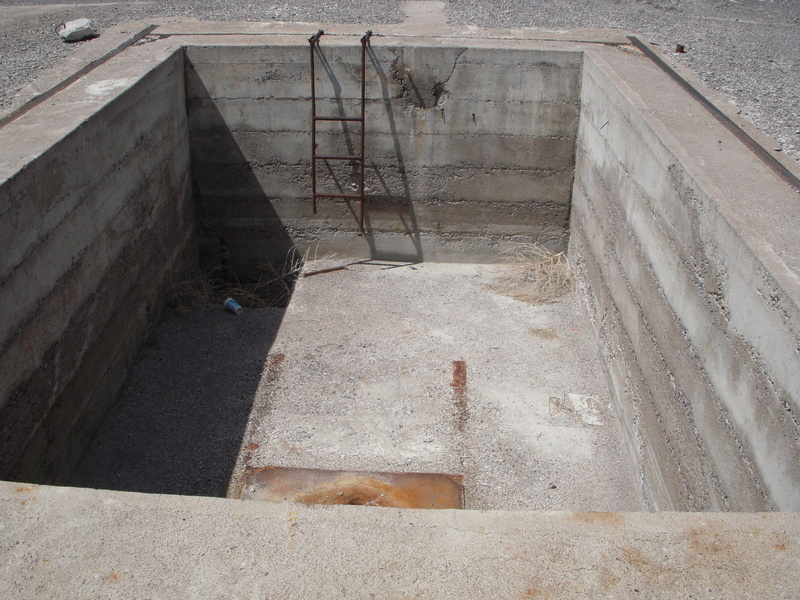 Special pits were also constructed with hydraulic lifts to hoist the huge bombs into the bomb bay. Between October 1944 and August 1945, 155 test units were dropped on targets surrounding the airfield at Wendover. The "pumpkin bomb" missions were used for testing and training purposes, meant to prepare the Groups for future atomic missions. These bombs were similar in size, weight, and drop characteristics to the "Fat Man" atomic bomb. The term “pumpkin bomb” applies to both the dummy concrete bombs used at Wendover, and the HE filled ones dropped over Japan. The 509th Composite Group flew 51 combat missions over Japan, dropping high explosive "pumpkin bombs" over many targets. 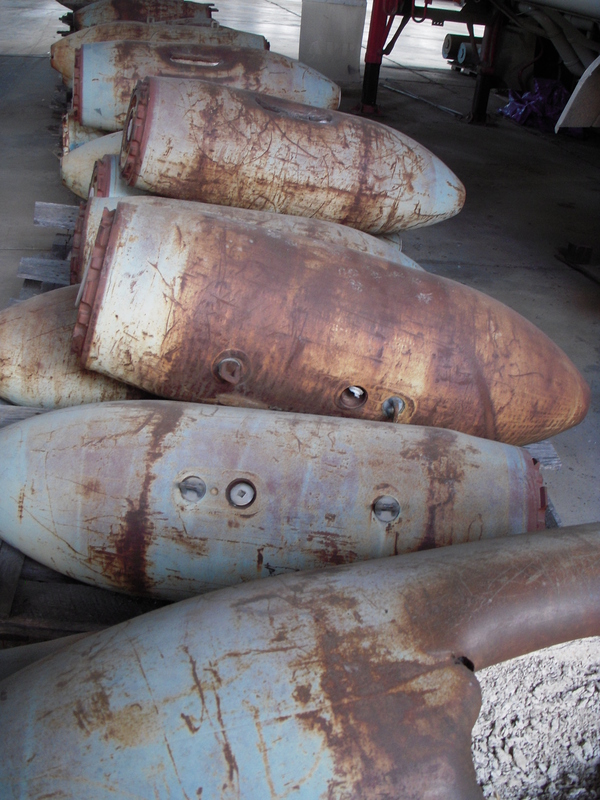 These were filled with 6,300 pounds of Composition B high explosive. In January 1945, a portion of the 393rd group (a section of the 509th Composite Group) left for Cuba, where they practiced long-range, over water flights. After returning to Wendover, they received heavily modified B-29s. According to the Historic Wendover Airfield Foundation, these planes featured "lighter engines with fuel injection, reversible electric propellers, pneumatic bomb doors, and a modified tunnel to hold the atomic weapon." 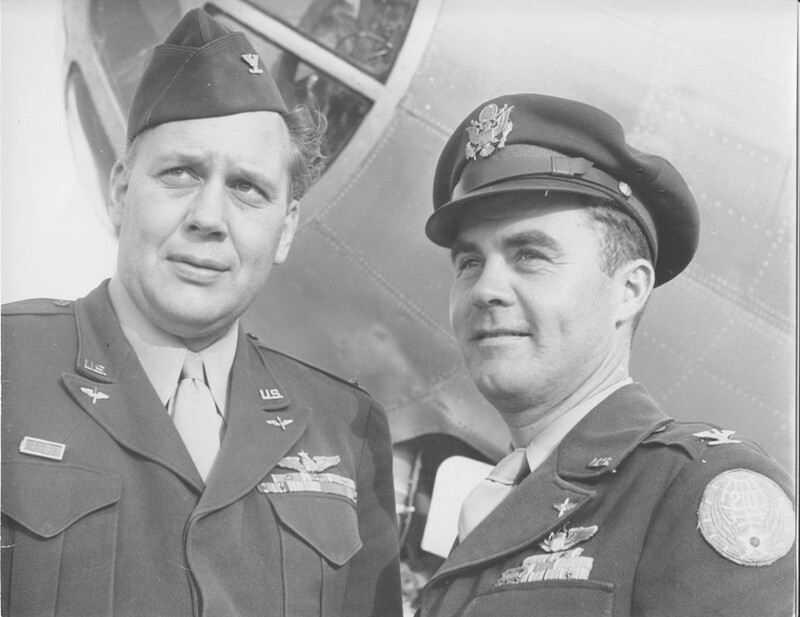 Tibbets and Dikes visited Wright Field in January of 1945 to finalize the plans for new Silverplate B-29s. Wright Field established Project 98228-S to cover production of the new and improved B-29s. The delivery of these planes to Wendover occurred from April through August of 1945. The new engines incorporated improved cooling features, and fuel injection. New electric propellers were also incorporated, allowing for better braking power on landings. The 509th Composite Group departed for Tinian Island in late May. They continued to practice dropping "pumpkin" bombs filled with high explosives on different targets in Japan. 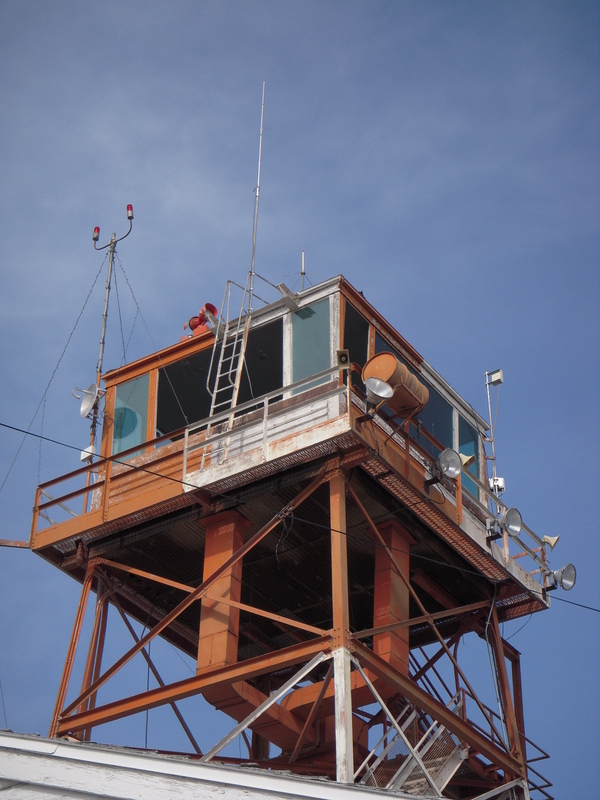 The "Gadget" was successfully tested during the Trinity Test on July 16 near Alamogordo, New Mexico. At 8:15 AM local time on August 6, the Enola Gay dropped the Little Boy uranium bomb over Hiroshima, Japan. 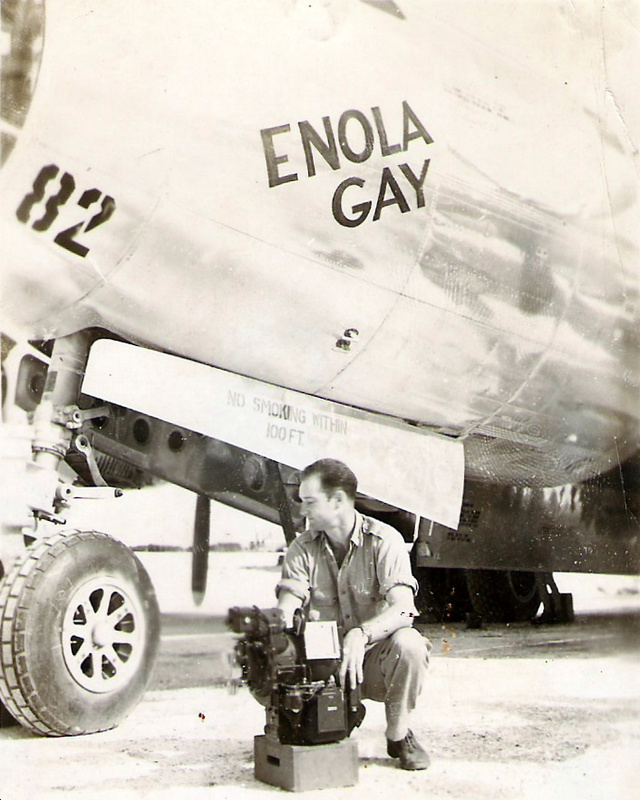 Three days later, the B-29 Bockscar dropped the Fat Man plutonium bomb on Nagasaki. For more on the bombings of Hiroshima and Nagasaki, click here. 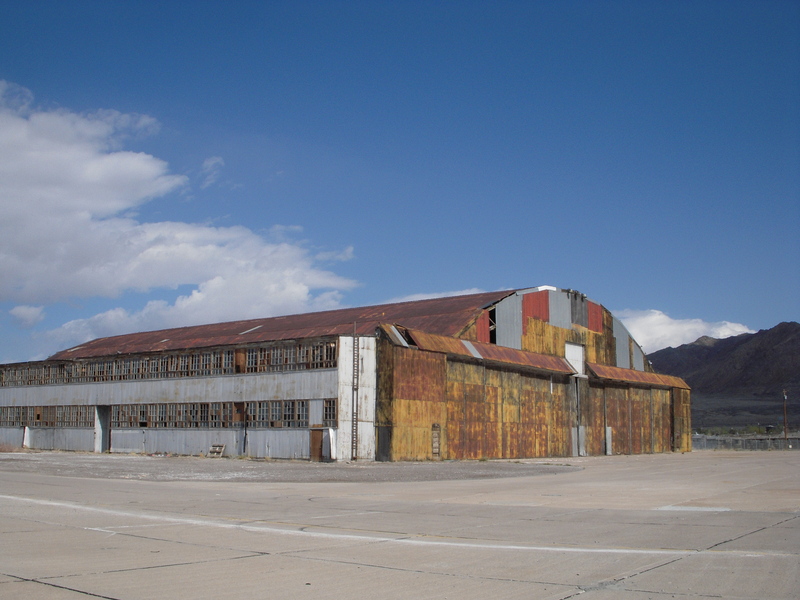 After the war, Wendover Airfield played a key role in the postwar weapons development industry. The Army Air Force used the base to test power-driven bombs, from the American version of the German V-1 rocket (the JB-2) to "Weary Willies", old B-17 bombers loaded to capacity with high explosives and flown remotely to their targets. The military also tested bombs equipped with wings and stabilizers, leading to the development of glide bombs that could be controlled by radar or radio. Wendover would continue to serve as an important bombing range throughout the early years of the Cold War. In 1976, however, Wendover Air Force Base was declared surplus and on June 16, most of the field, including the water system, was turned over to Wendover, Utah, as a municipal airport. David Hawkins, Edith C. Truslow, and Ralph Carlisle Smith, Manhattan District History: Project Y, The Los Alamos Project, 1946. 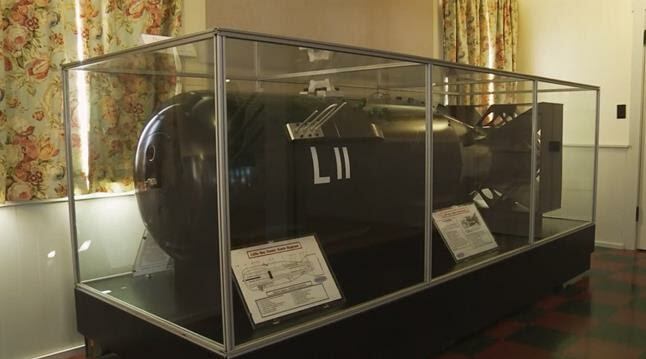 Replica of "Little Boy" on display at the Wendover Museum, signed by 509 veterans. Wendover Field, B-29 Hangar, East End looking West. Wendover Field, Southeast Corner looking Northwest. Wendover Field, Present Day, B-29 Hangar. 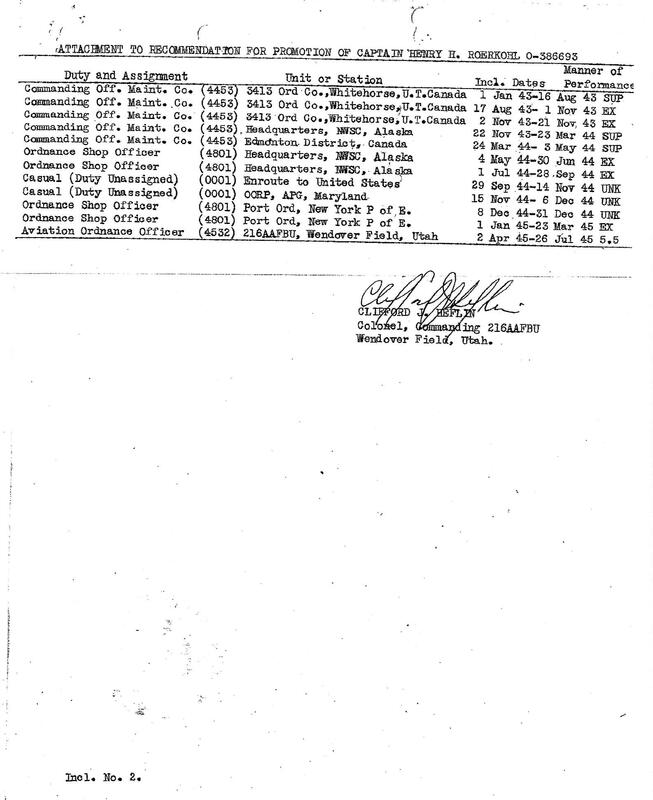 Darrell Dvorak’s father-in-law, Colonel Clifford Heflin, served as the Commanding Officer of Wendover Air Base, overseeing the management of the base as well as the ordnance and ballistics work. 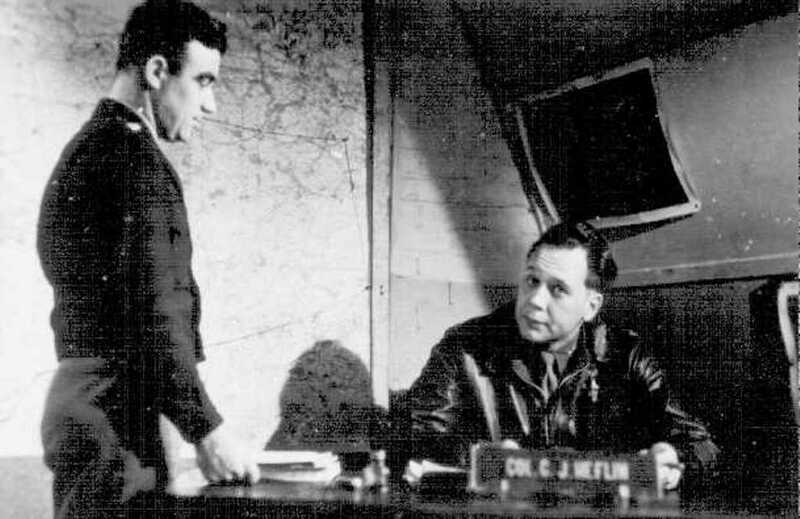 Darrell has published two articles on Col. Heflin's career and the Manhattan Project at Wendover: "The Other Atomic Bomb Commander" and "The First Atomic Bomb Mission." 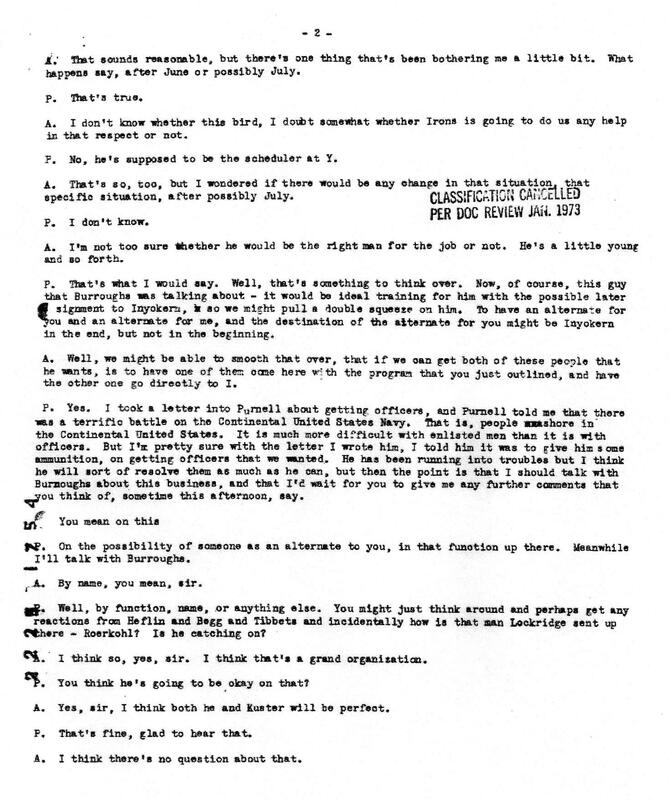 The full interview transcript can be found on "Voices of the Manhattan Project."